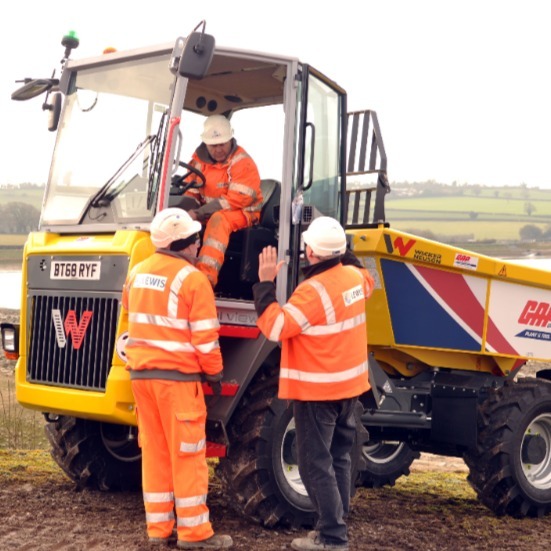 GAP Hire Solutions has recently taken delivery of their first 6t Dual View Dumper from Wacker Neuson, becoming one of the first hire companies to supply the high-performance machine. Dual View allows the operator to conveniently and quickly change the seat position through a 180-degree rotation of the entire operating and seat console. This means the operator always has a perfect view of the direction of travel during transport, loading and tipping. The Dual View Dumper will be a new addition to the extensive GAP fleet of ROPS and cabbed dumpers ranging in size from 1-10 tonnes and offering high discharge, forward tip and swivel skip variants. This delivery is part of a wider investment of almost £3m by GAP for a total of 60 Dual View Dumpers equally spread between 6t and 9t swivel skip models. With more than 140 locations throughout the UK and an ongoing intention to increase this number, GAP recognises that a constant programme of heavy investment is key to ensure the continuing success and growth of the business. During 2017/18, GAP’s capital expenditure was £75.5m and this new financial year has already seen record investment in tools which, alone, will reach £10m by March 2019. This level of reinvestment spending ensures that GAP continues to make their customers’ lives more productive, safer and environmentally friendly.